For Canadian clients, all prices are the same in CAD. Pas de deux prices are the same as for a freestyle of the same level. Contact me for pricing on special projects, such as demonstrations and quadrilles. *Note that the prices above are base rates. Some projects may be subject to additional fees. A fee of $100-$300 will be applied when I travel to work with a client, unless it’s in a clinic. US$300 Deposit is required for freestyles to fourth level. 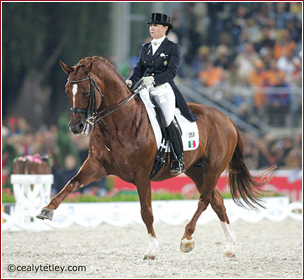 US$500 Deposit is required for FEI freestyles. Included in the Ovation Package are the following additional services: pre-editing of all music to fit the horse’s tempos at the selection stage; a Voice Over version of the final music, with verbal cues about each movement and where it should begin to fit transitions in the music; should it be needed, a minor adjustment to the editing of the music post-completion, for tempo or timing, up to 6 months after the freestyle has been delivered. Contact me for rates and information about clinics. You can consult the clinic schedule to find out if there is an upcoming clinic in your area. A freestyle discount applies to clients who begin the process by riding in an Applause clinic.